One of the best things about the new age of media is that anyone can get their message distributed widely and quickly -- as long as it's interesting, they've established good channels to work through, and they're nimble enough to move quickly. I've counted the communications arm of the United Methodist Church as a client since the 1990's, and they definitely fit all three criteria. 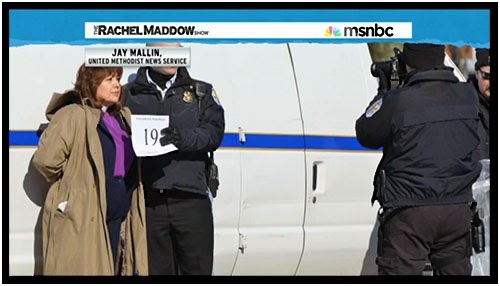 They've been distributing photos via the internet since the days when such a thing was only barely possible. 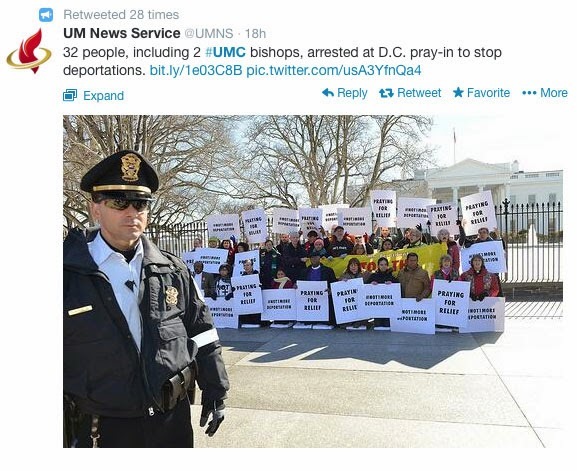 Yesterday they asked me to photograph a protest outside the White House in which Methodist bishops and others were arrested while objecting to the Obama administration's immigration policies. Of course my photos were good (goes without saying! 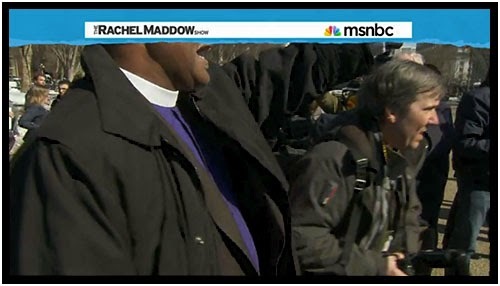 ), but before I'd even left the White House sidewalk, United Methodist staffers had the photos popping up on Huffington Post (photo of bishop being arrested paired with op-ed by bishop), on Voxxi.com (a Latino news site), and that night on Rachel Maddow (extensive use of the stills starting around the six-minute mark). Today the interest continues, with hundreds of views on Flickr and numerous retweets of photos. In itself the event was not that big an action. But with the group's ability to distribute text, photos and video quickly, it had a much bigger impact.